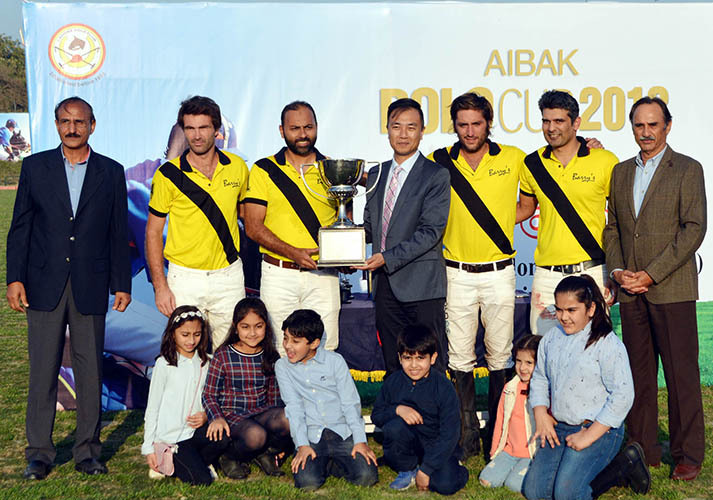 Barry’s outclassed Diamond Paints/Guard Rice by 8-3½ in the Huaneng Shandong Ruyi Aibak Polo Cup 2018 main final played here at the Lahore Polo Club ground. 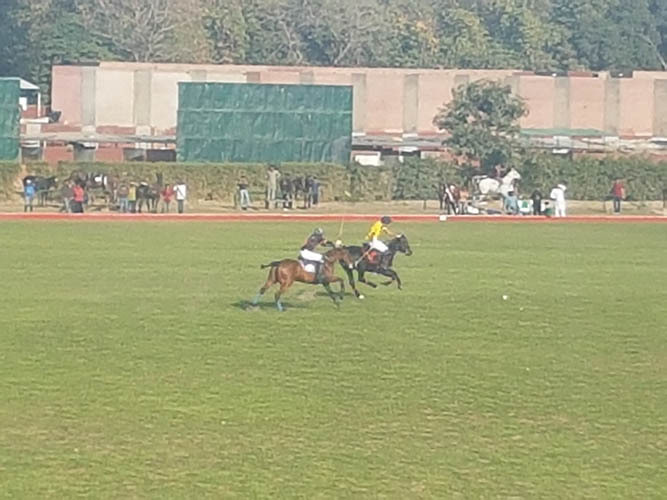 Juan Maria Ginazu (Tito) was hero of the final, who amused the spectators with his outstanding polo skills and proved through his performance, why he is considered one of the great polo players of the Argentina and world as well. Out of eight goals struck by Barry’s, seven were converted by Ginazu Tito and Bilal Haye converted one. From the losing side, which had half goal handicap advantage, all the three goals were scored by Macos Araya. Macos provided a good start to DP/Guard Rice by converting a 30-yard penalty but soon Ginazu Tito struck an equalizer to make it 1-1. By the close of the first chukker, Ginazu fired a field goal to finish it with Barry’s having 2-1 lead. Ginazu continued his good form in the second chukker and struck another field goal to stretch his team lead to 3-1. Macos then slammed a goal off 60-yard penalty to reduce the margin to 3-2, but Ginazu once again converted a 30-yard penalty to enhance Barry’s lead to 4-2. The third chukker was fully dominated by Barry’s as they banged in a brace, once again through Ginazu to further increase their lead to 6-2. Macos started his the fourth and last chukker with a field goal to reduce the margin to 6-3. But it was all which Diamond Paints/Guard Rice could get from the match, as Barry’s changed their approach and launched an impressive attack, which helped them add two more goals in their total and also provided them insurmountable 8-3 lead. This time, Ginazu and Bilal Haye contributed with one goal each. International umpires Howard George Smith and Jason Dixon supervised the matches as field umpires while Miguel Luis Duggan was match referee. The subsidiary final proved to be thriller where Army defeated Master Paints Black by 5-4. 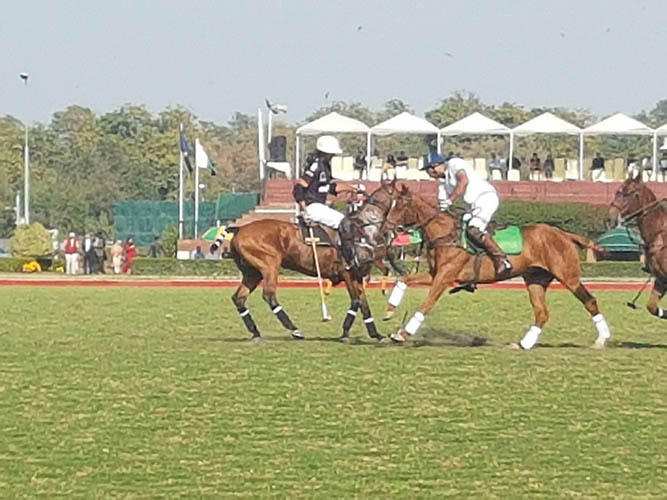 Ignasio Negri and Brig Zulfiqar Ali Baig were star of the day for Army as they thwarted two goals each for the winners while Luis Miguel Luis Duggan converted one. From the losing side, Gerardo Mazzini hammered hat-trick and Hissam Ali Hyder score one.